On April 27, Warhammer 40,000: Dawn of War III will release on PC worldwide for the typical $59.99 list price. For those interested in the real-time strategy game (with hints of MOBA), we've rounded up a number of noteworthy deals for you to peruse. Currently, the standard edition of Dawn of War III is on sale for as much as 25% off. For those in the states, the best deal out there on a Steam copy of Dawn of War III is arguably at DLGamer with a ten-dollar discount to $49.99. There you'll find the price reduced to $49.99. DLGamer has the key straight from Sega and offers the pre-order bonus "Masters of War Skin Pack." Details about the skin pack are further below. The same discount can be found at the popular Green Man Gaming, priced again at $49.99. This is a great deal, especially if you're familiar with its storefront and already have an account (mayhaps with some store credit?). GMG's keys are sourced from an authorized distributor and they make no mention of the pre-order bonus. Finally, if you reside in Europe or have Euros on hand, the retailer to consider is GamesPlanet. It has a higher percentage discount than either GMG or DLGamer, offering 25% off the £50 list price. GamesPlanet prices its games in pounds, but the key it sells can be activated worldwide and would technically be cheaper in US dollars than GMG or DLGamer. If you go this route just be warned there may be a foreign currency fee, depending on your credit card issuer. Pre-ordering Warhammer 40,000: Dawn of War III will net you the game's "Master of War Skin Pack." The pack isn't exactly an absolute must-have, but it will grant you the Dark Queen, Big Kustom, and Ghost Seer skins for each faction's Super Walkers. If the Standard Edition is not enough Warhammer for you, fans of the series can also pick up the more expensive $65 Limited Edition and $130 Collector's Edition of the game. These are not sold through third-party sites, nor will you find a digital edition sold on Steam, so discounts won't be readily available on either premium edition. 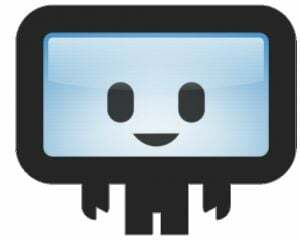 Currently, the only way to purchase is on Relic Entertainment's site for full price. These editions come with the game and extra physical goodies. The Limited Edition gets you the game, pre-order bonus, premium Disc book, official game soundtrack, and art card. 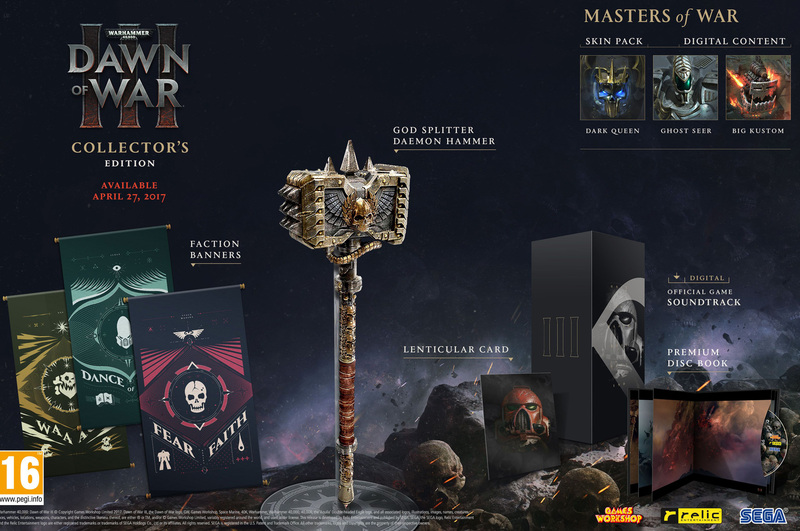 The Collector's Edition comes with this plus Gabriel Angelos' iconic "Godsplitter Daemon Hammer" replica (collector's item about the size of a regular hammer), three cloth faction banners mounted on wooden poles, and everything in the Limited Edition. So if you want a badass hammer for some awesome nail hammering action, head to Relic's site and get the credit card ready, Space Marine.